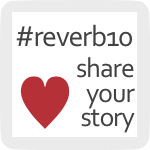 Today’s Reverb prompt is about friendship which I don’t feel particularly inclined to write about because 2010 was not exactly a year of great friendship for me. On the one side, I wasn’t a really great friend to a couple of people who could have used my support, and on the other, I felt really let down by people who I wanted support from. Instant karma, perhaps. Now when I say the above, I want to be clear that I had a great year of socializing and hanging out with folks. But that’s not the same as the tried and true of a wrinkled and worn friendship. No, indeed. But it’s certainly easier, isn’t it? Small talk and drinks and who cares how hungover I am in the morning gee that was fun….. And it’s true I’ve been busy, and could make a thousand reasons why I haven’t been the friend I want to be – but I think it’s some kind of laziness in me. Or it’s just that I don’t make time and don’t like telephones so I mostly wait around hoping that my friendships will last with periodic visits to them. And that’s not realistic. I know some of this is related to partnering – that for the first few years of domesticity it’s normal to let friendships go a little. And on top of that, I’ve learned to find my neededness elsewhere – in my union mainly, in my family somewhat. So it hasn’t felt as urgent to connect with folks. But when I think about that too long I get very sad, and I’ve realized lately how much I’ve withdrawn from real connections with people outside the tiny circle of my relationship, and I don’t like that very much. I also don’t know how to change it because some of it just is the way I always am. Even as a single person I wasn’t great at making phone calls to friends because deep down inside I believe no one really wants to hear from me anyway. And now doesn’t that sound pathetic? But really, I once had someone tell me I was one of her needier friends, and I’ve never been very proactive about calling her to hang out since. Because the worst thing I could ever be called is needy – you see? It’s just not worth letting people see your insides too much or they feel the license to say things like that to you. But I honestly do have friends who I love very much and this year has been about not connecting with them. At the commitment ceremony in October, I even cried about it because I was so happy with my love and so unhappy with the state of this one friendship that it got all mixed up and came out in such a weird way. But that friend who I was upset about is still in my life – even moreso now, because we care about each other and want to help each other and I guess that’s what friendships are about. And I want to change the fact I haven’t been very proactive about reaching out to the people I care about. It’s a very selfish thing, I think. But it can’t go on forever, and I want to make more commitments to people in 2011, that the ones I care about should be in my life a lot more (however it happens). It’s not as if that is a huge list of people – really – there are only a few. So I should be able to make more of an effort now that I’m quitting all this other stuff. I’ve got more time at least, so that’s one less excuse about it.